Sony Corporation (ソニー株式会社, Sonī Kabushiki Gaisha), commonly referred to as Sony, is a Japanese multinational conglomerate corporation headquartered in Kōnan Minato, Tokyo, Japan. Its diversified business is primarily focused on the electronics (TV, Gaming Consoles, Refrigerators), game, entertainment and financial services sectors. The company is one of the leading manufacturers of electronic products for the consumer and professional markets. Sony is ranked 87th on the 2012 list of Fortune Global 500. 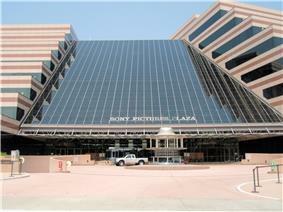 Sony Corporation is the electronics  These make Sony one of the most comprehensive entertainment companies in the world. Sony's principal business operations include Sony Corporation (Sony Electronics in the U.S.), Sony Pictures Entertainment, Sony Computer Entertainment, Sony Music Entertainment, Sony Mobile Communications (formerly Sony Ericsson), and Sony Financial. Sony is among the Worldwide Top 20 Semiconductor Sales Leaders and third-largest television manufacturer in the world, after Samsung Electronics and LG Electronics. The Sony Group (ソニー・グループ, Sonī Gurūpu) is a Japan-based corporate group primarily focused on the Electronics (such as AV/IT products and components), Game (such as PlayStation), Entertainment (such as motion pictures and music), and Financial Services (such as insurance and banking) sectors. The group consists of Sony Corporation (holding and electronics), Sony Computer Entertainment (games), Sony Pictures Entertainment (motion pictures), Sony Music Entertainment (music), Sony/ATV Music Publishing (music publishing), Sony Financial Holdings (financial services) and others. Its founders Akio Morita and Masaru Ibuka derived the name from sonus, the Latin word for sound, and also from the English slang word "sonny", since they considered themselves to be "sonny boys", a loan word into Japanese which in the early 1950s connoted smart and presentable young men. The company's current slogan is BE MOVED. Their former slogans were make.believe (2009–2014) and like.no.other (2005–2014). Sony began in the wake of World War II. In 1946, Masaru Ibuka started an electronics shop in a department store building in Tokyo. The company had $530 in capital and a total of eight employees. In the following year he was joined by his colleague, Akio Morita, and they founded a company called Tokyo Tsushin Kogyo (Tokyo Telecommunications Engineering Corporation). The company built Japan's first tape recorder, called the Type-G. In 1958 the company changed its name to "Sony". The name "Sony" was chosen for the brand as a mix of two words. One was the Latin word "Sonus", which is the root of sonic and sound, and the other was "Sonny", a familiar term used in 1950s America to call a boy. The first Sony-branded product, the TR-55 transistor radio, appeared in 1955 but the company name did not change to Sony until January 1958. Sony co-founder Akio Morita founded Sony Corporation of America in 1960. In the process, he was struck by the mobility of employees between American companies, which was unheard of in Japan at that time. When he returned to Japan, he encouraged experienced, middle-aged employees of other companies to reevaluate their careers and consider joining Sony. The company filled many positions in this manner, and inspired other Japanese companies to do the same. Moreover, Sony played a major role in the development of Japan as a powerful exporter during the 1960s, 70s, and 80s. It also helped to significantly improve American perceptions of "made in Japan" products. Known for its production quality, Sony was able to charge above-market prices for its consumer electronics and resisted lowering prices. In 1971, Masaru Ibuka handed the position of president over to his co-founder Akio Morita. Sony began a life insurance company in 1979, one of its many peripheral businesses. Amid a global recession in the early 1980s, electronics sales dropped and the company was forced to cut prices. Sony's profits fell sharply. "It's over for Sony," one analyst concluded. "The company's best days are behind it." Around that time, Norio Ohga took up the role of president. He encouraged the development of the Compact Disc in the 1970s and 80s, and of the PlayStation in the early 1990s. Ohga went on to purchase CBS Records in 1988 and Columbia Pictures in 1989, greatly expanding Sony's media presence. Ohga would succeed Morita as chief executive officer in 1989. Under the vision of co-founder Akio Morita and his successors, the company had aggressively expanded into new businesses. Part of its motivation for doing so was the pursuit of "convergence," linking film, music, and digital electronics via the Internet. This expansion proved unrewarding and unprofitable, threatening Sony's ability to charge a premium on its products as well as its brand name. In 2005, Howard Stringer replaced Nobuyuki Idei as chief executive officer, marking the first time that a foreigner has run a major Japanese electronics firm. Stringer helped to reinvigorate the company's struggling media businesses, encouraging blockbusters such as Spider-Man while cutting 9,000 jobs. He hoped to sell off peripheral business and focus the company again on electronics. Furthermore, he aimed to increase cooperation between business units, which he described as "silos" operating in isolation from one another. In a bid to provide a unified brand for its global operations, Sony introduced a slogan known as "make.believe" in 2009. Despite some successes, the company faced continued struggles in the mid- to late-2000s. It became known for its stagnancy, with a fading brand name. In 2012, Kazuo Hirai was promoted to president and CEO, replacing Sir Howard Stringer. Shortly thereafter, Hirai outlined his company-wide initiative, named "One Sony" to revive Sony from years of financial losses and bureaucratic management structure, which proved difficult for former CEO Stringer to accomplish, partly due to differences in business culture and native languages between Stringer and some of Sony's Japanese divisions and subsidiaries. Hirai outlined three major areas of focus for Sony's electronics business, which include imaging technology, gaming and mobile technology, as well as a focus on reducing the major losses from the television business. Sony has historically been notable for creating its own in-house standards for new recording and storage technologies, instead of adopting those of other manufacturers and standards bodies. Sony (either alone or with partners) has introduced several of the most popular recording formats, including the floppy disk, Compact Disc, and Blu-ray Disc. The company launched the Betamax videocassette recording format in 1975. Sony became embroiled in the infamous videotape format war of the early 1980s, when Sony was marketing the Betamax system for video cassette recorders against the VHS format developed by JVC. In the end, VHS gained critical mass in the marketbase and became the worldwide standard for consumer VCRs and Sony adopted the format. While Betamax is for all practical purposes an obsolete format, a professional-oriented component video format called Betacam that was derived from Betamax is still used today, especially in the television industry, although far less so in recent years with the introduction of digital and high definition. In 1979 the Walkman brand was introduced, in the form of the world's first portable music player using the compact cassette format. Sony introduced the MiniDisc format in 1992 as an alternative to Philips DCC or Digital Compact Cassette and as a successor to the compact cassette. Since the introduction of MiniDisc, Sony has attempted to promote its own audio compression technologies under the ATRAC brand, against the more widely used MP3. Until late 2004, Sony's Network Walkman line of digital portable music players did not support the MP3 de facto standard natively. Sony and Philips jointly developed the Sony-Philips digital interface format (S/PDIF) and the high-fidelity audio system SACD. The later has since been entrenched in a format war with DVD-Audio. At present, neither has gained a major foothold with the general public. CDs are preferred by consumers because of ubiquitous presence of CD drives in consumer devices. Sony was one of the leading developers of the Blu-ray Disc optical disc format, the newest standard for disc-based content delivery. The first Blu-ray players became commercially available in 2006. The format emerged as the standard for HD media over the competing format, Toshiba's HD DVD, after a two year-long format war. In 1983 Sony introduced 90 mm micro diskettes (better known as 3.5-inch (89 mm) floppy disks), which it had developed at a time when there were 4" floppy disks, and a lot of variations from different companies, to replace the then on-going 5.25" floppy disks. Sony had great success and the format became dominant. 3.5" floppy disks gradually became obsolete as they were replaced by current media formats. Sony launched in 1998 their Memory Stick format, flash memory cards for use in Sony lines of digital cameras and portable music players. It has seen little support outside of Sony's own products, with Secure Digital cards (SD) commanding considerably greater popularity. Sony has made updates to the Memory Stick format with Memory Stick Duo and Memory Stick Micro. 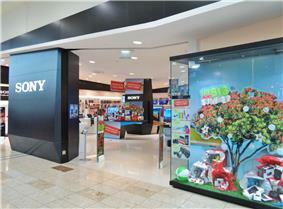 Sony offers a number of products in a variety of product lines around the world. Sony has developed a music playing robot called Rolly, dog-shaped robots called AIBO and a humanoid robot called QRIO. As of 1 April 2012, Sony is organized into the following business segments: Imaging Products & Solutions (IP&S), Game, Mobile Products & Communications (MP&C), Home Entertainment & Sound (HE&S), Devices, Pictures, Music, Financial Services and All Other. The network and medical businesses are included in the All Other. Sony Corporation is the electronics business unit and the parent company of the Sony Group. It primarily conducts strategic business planning of the group, research and development (R&D), planning, designing and marketing for electronics products. Its subsidiaries such as Sony EMCS Corporation (6 plants in Japan), Sony Semiconductor Corporation (7 plants in Japan) and its subsidiaries outside Japan (Brazil, China, England, India, Malaysia, Singapore, South Korea, Thailand, Ireland and United States) are responsible for manufacturing as well as product engineering (Sony EMCS is also responsible for customer service operations). In 2012, Sony rolled most of its consumer content services (including video, music, and gaming) into the Sony Entertainment Network. Sony sells many of its computer products using the VAIO brand. Sony produced computers (MSX home computers and NEWS workstations) during the 1980s, exclusively for sale in the Japanese market. The company withdrew from the computer business around 1990. Sony entered again into the global computer market under the new VAIO brand, began in 1996. Short for "Video Audio Integrated Operation", the line was the first computer brand to highlight visual-audio features. On 4 February 2014, Sony announced that it will sell its VAIO PC business due to poor sales and Japanese company Japan Industrial Partners (JIP) will purchase the VAIO brand, with the deal finalized by the end of March 2014. However, in a news release on the Sony Global website, published on 5 February, the corporations states: "Sony continues to address various options for the PC business, but Sony has no further comments." In 1968 Sony introduced the Trinitron brand name for its lines of aperture grille cathode ray tube televisions and (later) computer monitors. Sony stopped production of Trinitron for most markets, but continued producing sets for markets such as Pakistan, Bangladesh and China. Sony discontinued its series of Trinitron computer monitors in 2005. The company discontinued the last Trinitron-based television set in the USA in early 2007. The end of Trinitron marked the end of Sony's analog television sets and monitors. Sony used the LCD WEGA name for its LCD TVs until summer 2005. The company then introduced the BRAVIA name. BRAVIA is an in house brand owned by Sony which produces high-definition LCD televisions, projection TVs and front projectors, home cinemas and the BRAVIA home theatre range. All Sony high-definition flat-panel LCD televisions in North America have carried the logo for BRAVIA since 2005. Sony is the third-largest maker of televisions in the world. As of 2012, Sony's television business has been unprofitable for eight years. Sony produces a wide range of semiconductors and electronic components including image sensors, laser diodes, system LSIs, mixed-signal LSIs, OLED panels, etc. The company has a strong presence in the image sensor market. Sony-manufactured CCD and CMOS image sensors are widely used in digital cameras, smartphones and tablet computers. In 2001, Sony entered into a joint venture with Swedish telecommunications company Ericsson, forming Sony Ericsson. Initial sales were rocky, and the company posted losses in 2001 and 2002. However, SMC reached a profit in 2003. Sony Ericsson distinguished itself with multimedia-capable mobile phones, which included features such as cameras. These were unusual for the time. Despite their innovations, SMC faced intense competition from Apple's iPhone, released in 2007. From 2008 to 2010, amid a global recession, SMC slashed its workforce by several thousand. Sony acquired Ericsson's share of the venture in 2012 for over US$1 billion. In 2009, SMC was the fourth-largest mobile phone manufacturer in the world (after Nokia, Samsung and LG). By 2010, its market share had fallen to sixth place. Sony Mobile Communications now focuses exclusively on the smartphone market under the Xperia name. Sony Computer Entertainment is best known for producing the popular line of PlayStation consoles. The line grew out of a failed partnership with Nintendo. Originally, Nintendo requested for Sony to develop an add-on for its console that would play Compact Discs. In 1991 Sony announced the add-on, as well as a dedicated console known as the "Play Station". However, a disagreement over software licensing for the console caused the partnership to fall through. Sony then continued the project independently. Launched in 1994, the first PlayStation gained 61% of global console sales and broke Nintendo's long-standing lead in the market. 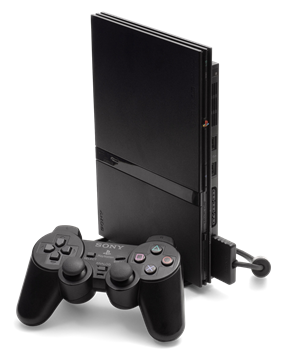 Sony followed up with the PlayStation 2 in 2000, which was even more successful. The console has become the most successful of all time, selling over 150 million units as of 2011. Sony released the PlayStation 3, a high-definition console, in 2006. It was the first console to use the Blu-ray format, although its expensive Cell processor made it considerably more expensive than competitors Xbox 360 and Wii. Early on, poor sales performance resulted in significant losses for the company, pushing it to sell the console at a loss. The PlayStation 3 sold generally more poorly than its competitors in the early years of its release but managed to overtake the Xbox 360 in global sales later on. It later introduced the PlayStation Move, an accessory that allows players to control video games using motion gestures. Sony extended the brand to the portable games market in 2005 with the PlayStation Portable (PSP). The console has sold reasonably, but has taken a second place to a rival handheld, the Nintendo DS. Sony developed the Universal Media Disc (UMD) optical disc medium for use on the PlayStation Portable. Early on, the format was used for movies, but it has since lost major studio support. Sony released a disc-less version of its PlayStation Portable, the PSP Go. The company went on to release its second portable video game system, PlayStation Vita, in 2011 and 2012. Sony launched its fourth console, the PlayStation 4, on 15 November 2013. On 18 March 2014, at GDC, President of Sony Computer Entertainment Worldwide Studios Shuhei Yoshida announced their new virtual reality technology dubbed Project Morpheus for PlayStation 4. The headset, still in prototype form, will bring VR gaming and non-gaming software to the company's new console. Sony Pictures Entertainment, Inc. (SPE) is the television and film production/distribution unit of Sony. With 12.5% box office market share in 2011, the company was ranked third among movie studios. Its group sales in 2010 were US$7.2 billion. The company has produced many notable movie franchises, including Spider-Man, The Karate Kid, and Men in Black. It has also produced the popular television game shows Jeopardy! and Wheel of Fortune. Sony entered the television and film production market when it acquired Columbia Pictures Entertainment in 1989 for $3.4 billion. Columbia lives on in the Columbia TriStar Motion Picture Group, a subsidiary of SPE which in turn owns Columbia Pictures and TriStar Pictures. SPE's television division is known as Sony Pictures Television. Sony Music Entertainment (also known as SME or Sony Music) is the second-largest global recorded music company of the "big four" record companies and is controlled by Sony Corporation of America, the United States subsidiary of Japan's Sony. The company owns full or partial rights to the catalogues of Michael Jackson, The Beatles, Usher, Eminem, Akon, and others. In one of its largest-ever acquisitions, Sony purchased CBS Record Group in 1987 for US$2 billion. In the process, Sony gained the rights to the catalogue of Michael Jackson, considered by the Guinness Book of World Records to be the most successful entertainer of all time. The acquisition of CBS Records provided the foundation for the formation of Sony Music Entertainment, which Sony established in 1991. In 2004, Sony entered into a joint venture with Bertelsmann AG, merging Sony Music Entertainment with Bertelsmann Music Group to create Sony BMG. In 2005, Sony BMG faced a copy protection scandal, because its music CDs had installed a controversial feature on users' computers that was posing a security risk to affected users. In 2007, the company acquired Famous Music for US$370 million, gaining the rights to the catalogues of Eminem and Akon, among others. Sony bought out Bertelsmann's share in the company and formed a new Sony Music Entertainment in 2008. Since then, the company has undergone management changes. Sony Online Entertainment (SOE), a division of Sony Corporation, is a video game developer and video game publisher. SOE is known for creating massively multiplayer online games (MMOGs), including EverQuest, EverQuest II, The Matrix Online, PlanetSide, Star Wars Galaxies, Free Realms, Vanguard: Saga of Heroes, DC Universe Online, and PlanetSide 2. In 2008, Sony Online Entertainment’s game EverQuest was honored at the 59th Annual Technology & Engineering Emmy Awards for advancing the art form of massively multiplayer online role-playing games (MMORPGs). Besides its record label, Sony operates other music businesses. In 1995, Sony purchased a 50% stake in ATV Music Publishing, forming Sony/ATV Music Publishing. At the time, the publishing company was the second-largest of its kind in the world. The company owns much of the publishing rights to the catalogue of The Beatles. Sony purchased digital music recognition company Gracenote for US$260 million in 2008. Sony Financial Holdings is a holding company for Sony's financial services business. It owns and oversees the operation of Sony Life (in Japan and the Philippines), Sony Assurance, Sony Bank and Sony Bank Securities. 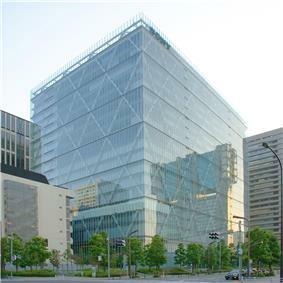 The company is headquartered in Tokyo, Japan. Sony Financial accounts for half of Sony's global earnings. The unit proved the most profitable of Sony's businesses in fiscal year 2006, earning $1.7 billion in profit. Sony Financial's low fees have aided the unit's popularity while threatening Sony's premium brand name. In April 2012, Sony announced that it would reduce its workforce by 10,000 (6% of its employee base) as part of CEO Hirai's effort to get the company back into the black. This came after a loss of 520 billion yen (roughly US$6.36 billion) for fiscal 2012, the worst since the company was founded. Accumulation loss for the past four years was 919.32 billion-yen. Sony plans to increase its marketing expenses by 30% in 2012. 1,000 of the jobs cut come from the company's mobile phone unit's workforce. 700 jobs will be cut in the 2012-2013 fiscal year and the remaining 300 in the following fiscal year. In November 2011, Sony was ranked 9th (jointly with Panasonic) in Greenpeace's Guide to Greener Electronics. This chart grades major electronics companies on their environmental work. The company scored 3.6/10, incurring a penalty point for comments it has made in opposition to energy efficiency standards in California. It also risks a further penalty point in future editions for being a member of trade associations that have commented against energy efficiency standards. Together with Philips, Sony receives the highest score for energy policy advocacy after calling on the EU to adopt an unconditional 30% reduction target for greenhouse gas emissions by 2020. Meanwhile, it receives full marks for the efficiency of its products. In 2007, Sony ranked 14th on the Greenpeace guide. Sony fell from its earlier 11th place ranking due to Greenpeace's claims that Sony had double standards in their waste policies. ^ a b "Sony Global – Corporate Information". Retrieved 27 March 2014. ^ a b c d e f "Consolidated financial results for the fiscal year ended March 2014, Sony Corporation" (PDF). ^ "Fortune Global 500 2012: The World's Biggest Companies". CNN. ^ a b Business Overview, Annual Report 2010. (PDF) . Retrieved 7 July 2011. ^ Sony.co.uk. About Sony. ''The History of the Sony Corporation''. Sony.co.uk. Retrieved 7 July 2011. ^ a b c d e f g Christian, Caryl, and With Hideko Takayama and Kay Itoi in Tokyo, George Wehrfritz in Hong Kong, John Sparks and Michael Hastings in,New York. "Sony is Not Japan ; the Appointment of a Foreign CEO is a Sign of how Far the Iconic Company has Fallen in the Japanese Corporate Elite." Newsweek 21 March 2005: 30-. ProQuest Research Library. Web. 26 May 2012. ^ Jeff Blagdon (2012-03-27). "Sony reorganizes into 'One Sony', prioritizes digital imaging, gaming, and mobile". The Verge. Retrieved 2013-07-10. ^ Knight, Sophie; Reiji Murai (6 February 2014). "As losses mount, Sony's Hirai seeks cure for TV business in spinoff". Reuters (Toyko). Retrieved 11 February 2014. ^ Makuch, Eddie (2014-04-16). "PS4 company Sony to sell its entire stake in Square Enix, valued at around $47 million". ^ "Sony Group Organization Chart". Sony.net. Retrieved 2014-05-12. ^ "Quarterly Securities Report For the three months ended 30 June 2012" (PDF). Retrieved 2014-05-12. ^ "Japanese couple sues Sony and Apple over burning battery". Engadget. 25 July 2007. Retrieved 25 July 2007. ^ "Tablet & Smartphones | Xperia™ Tablet & Smartphones". Sony. 2009-07-30. Retrieved 2013-07-10. ^ "Sony Corporation Statement regarding Media Reports dated February 4-5, 2014" (News release). Sony Global. Sony Corp. 5 February 2014. Retrieved 7 February 2014. ^ "Sony sells $940m LCD stake to Samsung to slash TV losses.". Retrieved 27 December 2011. ^ "Sony and Sharp in LCD panel joint venture". Sony.net. Retrieved 2014-05-12. ^ "Announcement of Agreements Between Olympus and Sony to Form Business and Capital Alliance". Olympus-global.com. Retrieved 2014-05-12. ^ "Establishment of Sony Olympus Medical Solutions Inc." (Press release). Sony Olympus Medical Solutions. 16 April 2013. Retrieved 19 April 2013. ^ "Establishment of a New Company to start genome information platform business" (Press release). Sony Corporation. 2014-01-23. Retrieved 2014-05-16. ^ Makuch, Eddie. "PS3 overtakes Xbox 360 in worldwide shipments - Report". GameSpot. ^ "2011 Market Share and Box Office Results by Movie Studio". ^ Bates, James; Claudia Eller (20 November 1996). "Sony President Puts Best Face on Studio Woes". ^ "Legal fight over fake film critic". ^ Emanuella Grinberg (9 March 2004). "Moviegoers to settle with studio after being lured by phony critic". ^ "Sony pays $1.5m over fake critic". ^ McCurry, Justin (9 December 2008). "Sony to cut 8,000 jobs worldwide". The Guardian (London). Retrieved 23 May 2010. ^ History of Environmental Activities at Sony at the Wayback Machine (archived February 8, 2008). Retrieved 7 July 2011. ^ Vision at the Wayback Machine (archived November 27, 2007). Web.archive.org (27 November 2007). Retrieved 7 July 2011. The Japan Project: Made in Japan – a documentary about Sony's early history in the U.S. by Terry Sanders.